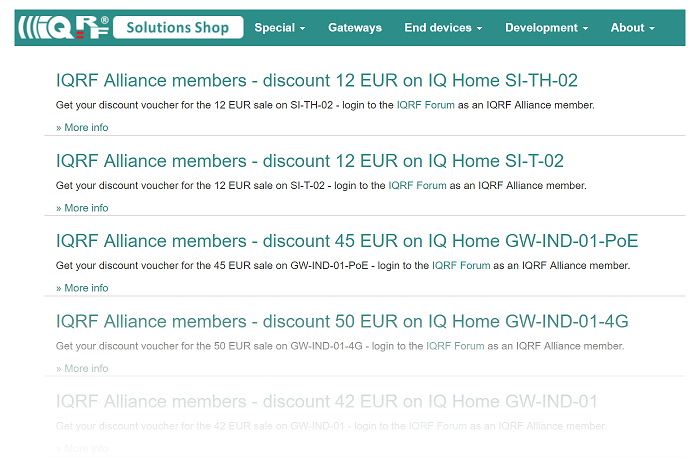 There are new discount vouchers for members of the IQRF Alliance at forum.iqrfalliance.org. The topic with discount vouchers is here. To view the discounts, you need to be logged in and be a member of the IQRF Alliance.